Perfect for anyone who has an interest in smallholding life. Want to experience what it's really like? Thinking of buying your own smallholding or just want some time away with a difference? Then you'd love this. Spend two days with us on our 20 acre smallholding and see what it's really like to live off the land. Discover how the lifestyle could work for you and your family, or just come and have some fun seeing how we've made it work for us. We'll show you how to care for the animals, look after the land and make tasty produce from home grown ingredients. Pigs: day to day care; handling, feeding and watering. Plus housing, how and where to build an enclosure and the pros and cons of electric fencing. You will also cover ear tagging and how to inject medication safely. Sheep: day to day care; handling, feeding, watering, foot trimming, dagging (sheering the back end) and in June full sheering. Plus ear tagging and how to administer medication both by drenching (orally) and injecting. Poultry: day to day care; handling, feeding, watering, trimming flight feathers, housing and how to avoid common problems. Goats: learn how to hand-milk and how to care for goats including, feeding, foot trimming, housing and fencing. Meat: learn how to humanely kill, then pluck and draw a chicken. Dairying: make your own butter, quick cheese and healthy live yogurt. Bakery: make your own gorgeous loaf of bread. Take samples of everything you make home with you! 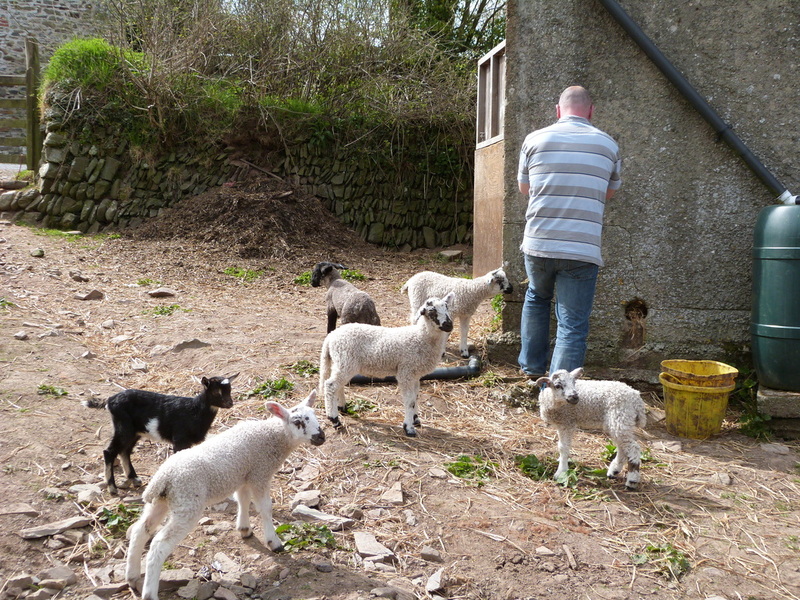 We will give advice on setting up a smallholding from scratch if required. Including applying for holding/flock/herd number, current movement restrictions and the completion of movement licenses plus everything else you need to know to comply with current legislation. Our courses also make great presents and we would be happy to email you a gift certificate for you to print and hand over on the big day!